Whales can be harmed by noise from ships, a new study claims to prove. When commercial shipping was restricted after the 9/11 terrorist attacks in America, scientists used the opportunity to test whether whales were affected by propeller noise, navy sonar and explosions, The Guardian website reports. 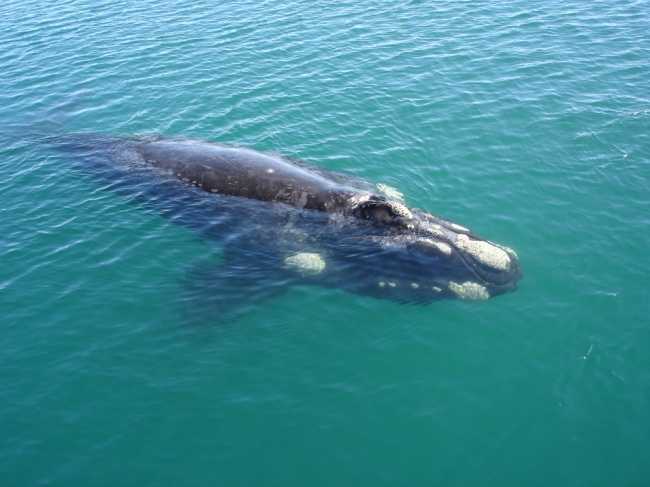 The research, Evidence that ship noise increases stress in right whales, just published in the Proceedings of the Royal Society B journal, provides the first evidence of the whales being physical harmed by the noise, it is claimed. Lead researcher, Rosalind Rolland, of the New England Aquarium, in Boston, America, says, "We showed whales occupying oceans with high levels of ship noise have a chronic stress response. "We knew whales changed the frequency of their calls to adapt to the ship noise, but this work shows it is not merely an annoyance - it is having a physical effect." Environmental groups have previously claimed whale song can be affected by noise and are attempting to sue the American Government for the navy's use of sonar. Rosalind Roland did not originally intend to study the effect on shipping noise on the mammals. She collected whale hormone data for research into whale reproduction and health, but later released her findings could be linked with noise data to find the effect on whales. Sound is the main sense for whales and they use it in the same way as humans use sight. Through singing they navigate and locate food and mates. They are thought to be able to communicate across hundreds of kilometres, but the low frequencies they use overlap with human communication methods and propeller sound frequencies, which have increased ten times in volume in the last fifty years. Rosalind Rolland was in the Bay of Fundy, Canada, on 11 September 2001. She says, "There was a dramatic reduction in ship traffic that day. It was like being on the primal ocean." Her team used specially trained dogs to locate northern right whales faeces floating in the water and found a "highly significant" decrease in stress hormones when the shipping noise subsisded. "Instant responses to stress - like running away from a tiger - can be life-saving, but if it becomes chronic, it causes profound depression of the immune system, making them vulnerable to disease, and it depresses reproduction," she says. Northern right whales, whose territory is close to the busy eastern US seaboard shipping lanes, are rare and it is thought there are only 475 left with a recovery of around 1% annually. 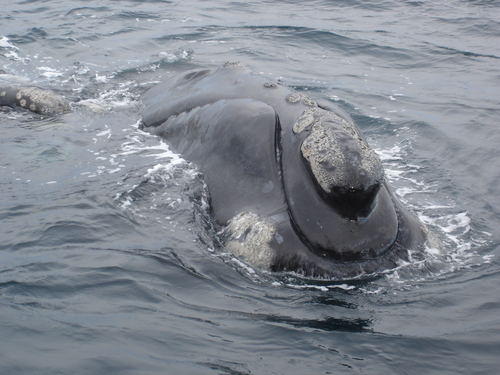 In contrast, there are up to 10,000 southern right whales with an 8% annual recovery. Rolland says the noise stress could be a factor in the population's slow recovery, and may affect other species, including beaked whales that are sensitive to sonar and are often involved in mass beachings. She says the good news is that the problem can be solved. Shipping noise is often caused by inefficient engines, which can be prevented. The International Maritime Organisation and the European Union are both looking at how marine noise can be cut. But Danny Groves, at the Whale and Dolphin Conservation Society, says: "Not enough is being done to reduce noise in our oceans Very little is known about its long-term effects and more research is needed. "Amazingly, there are currently no accepted international standards regarding noise pollution in our seas." Studies of other animals have shown the same kind of chronic stress exhibited by the whales can be caused by noise from water sports, snowmobiles or road traffic.